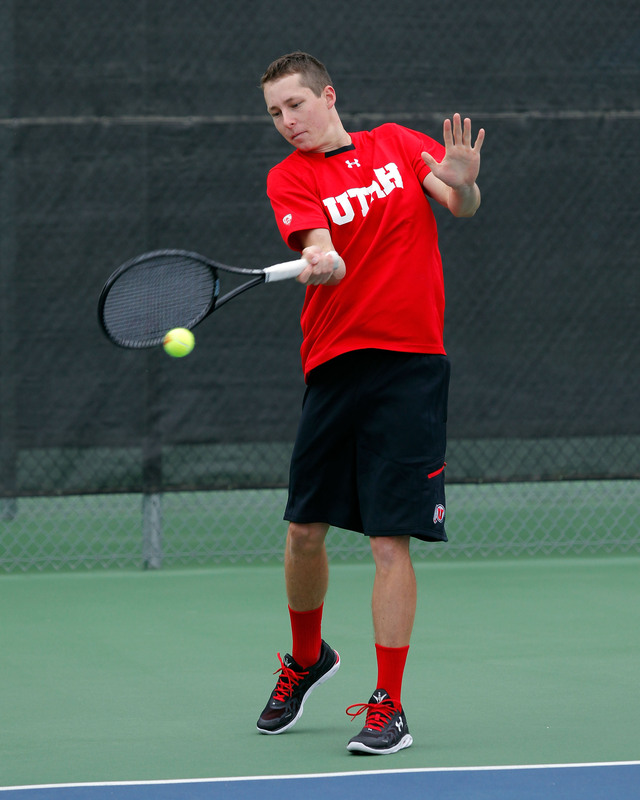 Las Vegas, NV – The University of Utah men’s tennis team is in Las Vegas, Nevada to compete in the ITA Mountain Regional. The tournament begins today, October 15, and runs through October 19. All matches will be played at the Darling Tennis Center. Utah is represented by senior and vice-captain Cedric Willems, juniors Jamey Swiggart, Justin Archer, and Matt Cowley, redshirt freshman Louis-Philippe Gascon, and freshmen Johan Jonhagen and Santiago Sierra. Cedric Willems (UU) is seeded No. 15 and will face the winner of Zach Fryer (DU) and Aidan Carrazedo (BYU). All other Utes will play matches in the first round. No. 25 seed Matt Cowley (UU) is matched up with Yannik James (DU). Johan Jonhagen (UU) is set to play Nico Carpenter (AFA). Jamey Swiggart (UU) will compete against Jake Sheldon (UNC). Santiago Sierra (UU) will face No. 21 seed Liam Goldberg (NMSU). Louis-Philippe Gascon (UU) plays Alexander Rudenco (NM) in the first round. Justin Archer (UU) is matched up against an in-state opponent, Marcus Fritz (USU). Swiggart/Willems (UU) are the No. 9 seed and have a bye in the first round. Cowley/Sierra (UU) will play in-state rivals Sweet/Salwan (USU) in the first round. Archer/Sierra (UU) are also matched with an in-state opponent. They will face Baumgartner/Swindells (USU). Check this website, utahutes.com, and our social media pages for updates. This entry was posted in Schedule/Results and tagged Cedric Willems, ITA Regionals, Jamey Swiggart, Johan Jonhagen, Justin Archer, Louis-Philippe Gascon, Matt Cowley, Utah Tennis, Utah Utes. Bookmark the permalink.